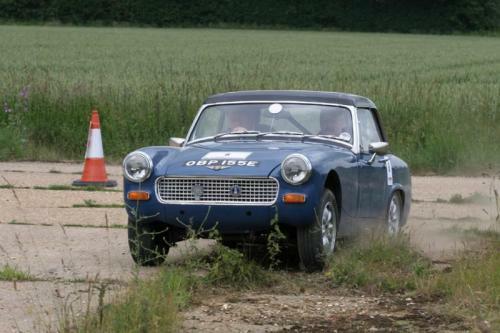 Martin Neal / Mick Briggs - Austin Healey Sprite - Winners of the 2009 EAC. The event will be on Saturday June 20th 2009 to take advantage of the midsummer weather and longer days. New Start and Finish venue. Straightforward, shorter, smoother tests, retaining a variety of styles and venues to suit all types of car and crew. New private land regularities on sealed surfaces. More and shorter public road regularities as requested by [G2:4305 type=randomImage class=left size=200] competitors. I am pleased to be able to give details of the sponsorship package as it affects competitors and marshals. Overall and Experience class winners will receive a free Lumenition Electronic Ignition system (optronic or magnetronic) and a 50% discount voucher for other products, plus a bottle of champers.